A new DLC pack featuring Hot Wheels, the number one selling toy in the world, is making its way to Rocket League on September 24, 2018. The pack costs USD5.99 and includes three Hot Wheels Battle-Cars and creature-themed Toppers. More details on the pack and trailer can be found below. 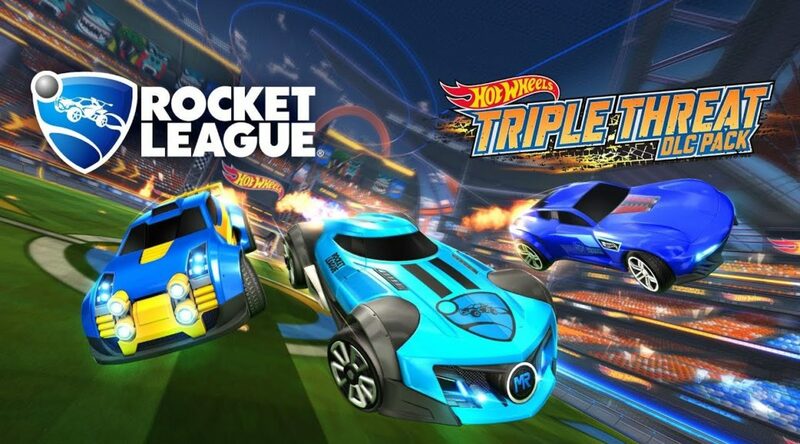 Psyonix, independent video game developer and publisher, and Hot Wheels®, the number-one selling toy in the world*, today announced that the Hot Wheels® Triple Threat DLC Pack will be available for purchase in the Rocket Leaguegame on all platforms on September 24. It will be priced at $5.99 (or regional equivalent) and feature three Hot Wheels® Battle-Cars and a variety of creature-themed Toppers. A brand new Hot Wheels-themed Arena and customization items celebrating the 50th anniversary of Hot Wheels® will also launch alongside the DLC and be available to all players for free. In addition, the physical Hot Wheels Rocket League 5-Pack will be available in participating stores worldwide beginning mid-October! The Gazella GT™, MR11, Fast 4WD, Bone Shaker™, and Twin Mill™ III Battle-Cars are brought to real life as diecast toys and specially marked packs will include a code that unlocks the exclusive in-game DLC item, Hot Hot Wheels.